Ashampoo Free Firewall is a free firewall software that monitor all incoming and outgoing traffic, and protect your system against any malicious program. 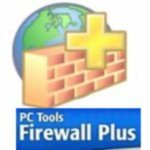 PC Tools provides a Free Firewall to protect your computer from intruders and malicious network traffic. ZoneAlarm Free Firewall is very effective to protect your system against intrusions.